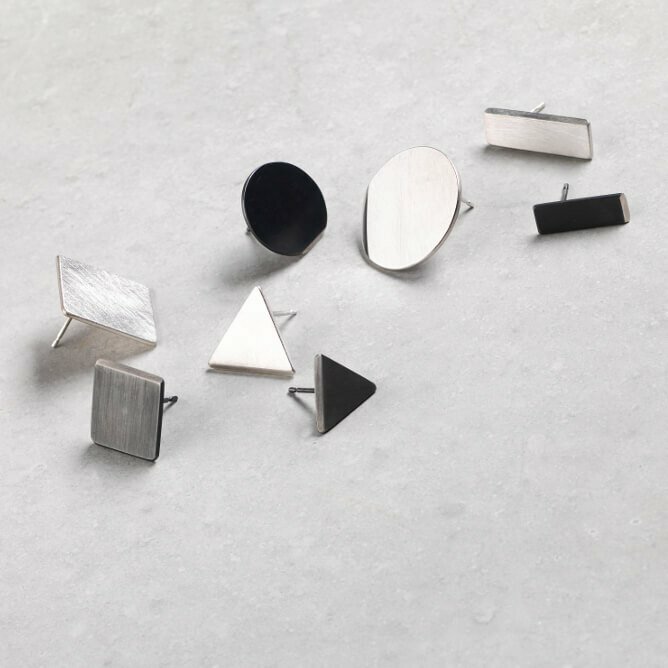 A handmade, minimalist series of earrings with delicate edges. Two different sizes and various shapes including square, round, rectangle and triangle. 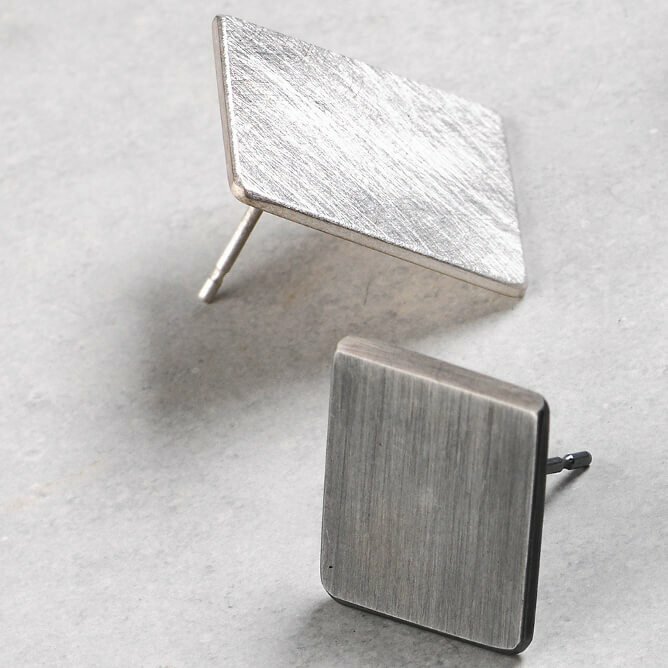 Available in textured and oxidised silver finish. 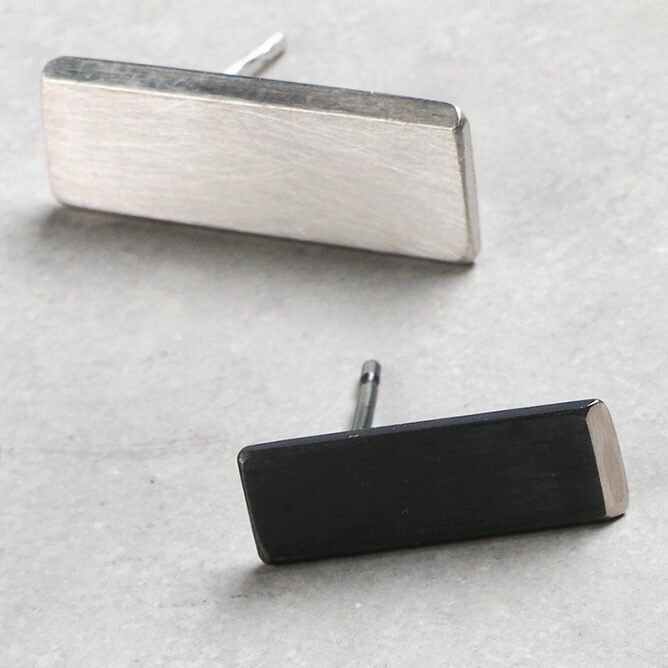 Note: sells in single piece rather than a pair, easily access to create your own unique combination. 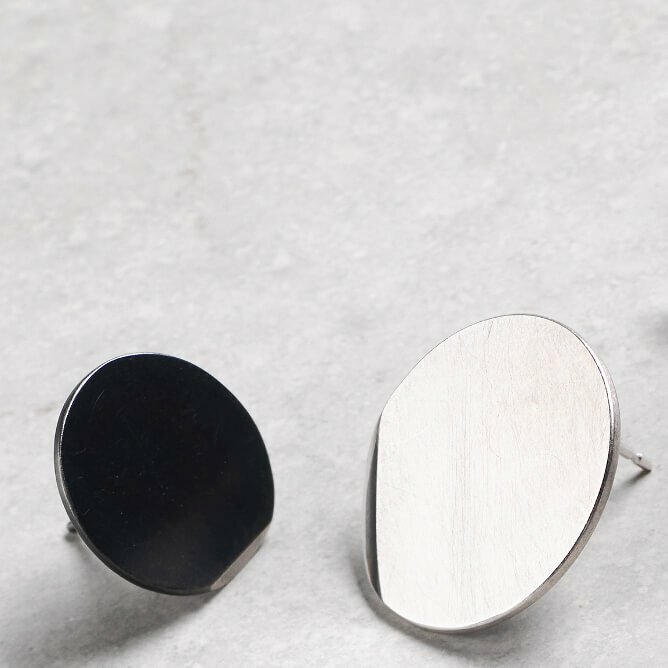 These handcrafted pieces of wearable art make a statement on any outfit. They are an opportunity to own something unique, made specifically to your order. 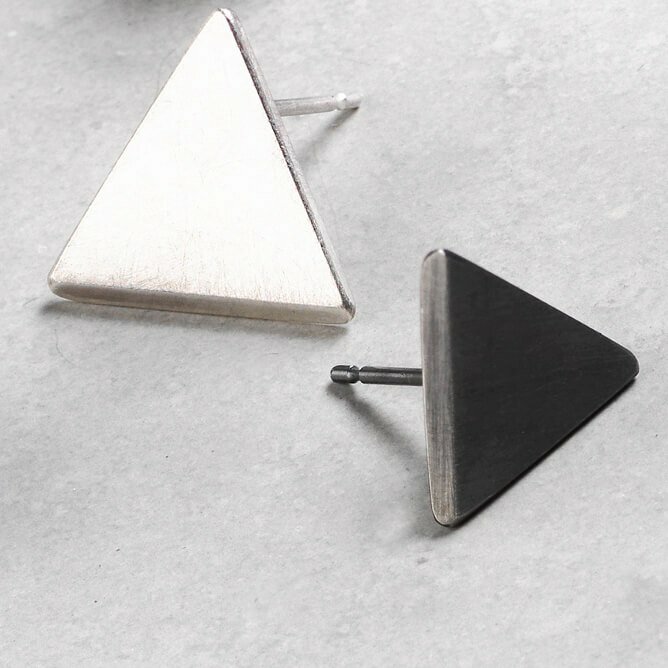 Whether you prefer an oxidised or textured finish, a rounder or edgier shape, find the Inside Out Flat Geometric Earrings that will suit you. 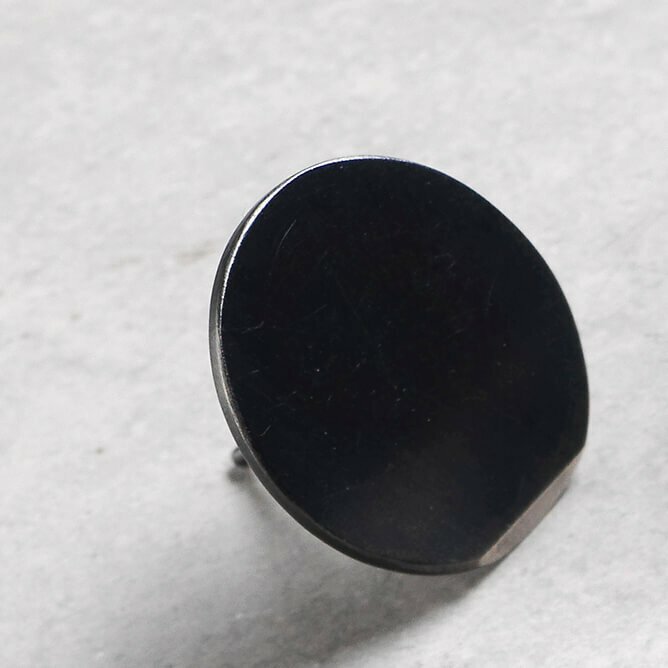 This piece is made to order with a typical 1-week lead time. 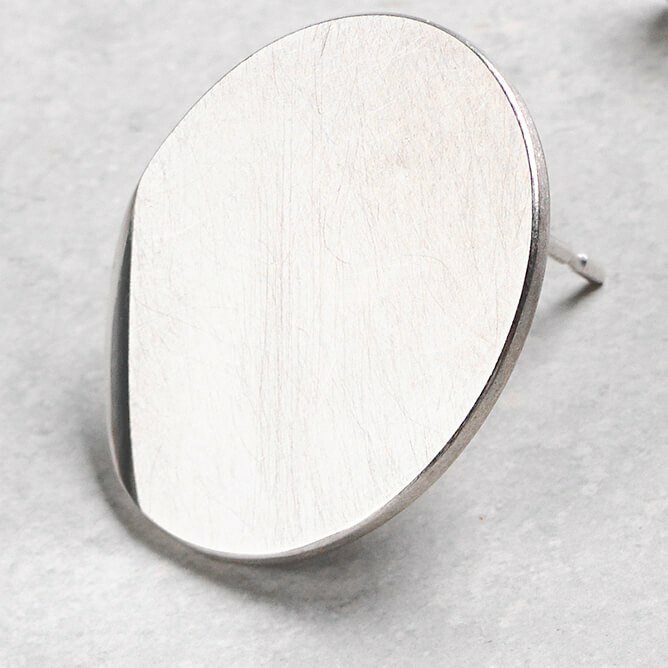 Please note not all earring variations are visible in the photos but you can get a sense of the large and small sizes and of the finish variations from them.